HONG KONG — It may be the year of the pig, but Hong Kong has had enough of the wild ones. The debate about how to handle the wild boars comes as the city of more than 7 million people is being festooned with pig-themed decorations in preparation for the Lunar New Year holiday that officially begins Tuesday. The pig is one of 12 animals that in the Chinese zodiac's 12-year cycle. 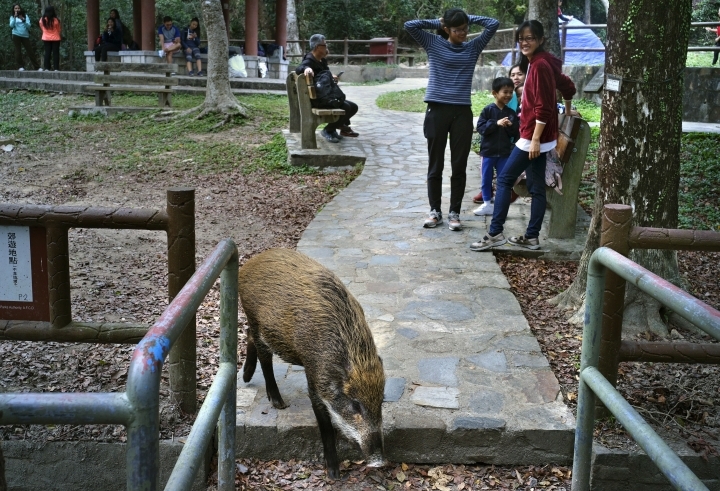 Not far from its cramped apartment blocks and neon lights, Hong Kong has plenty of untouched land, traditionally home to a variety of animals, including wild boars. 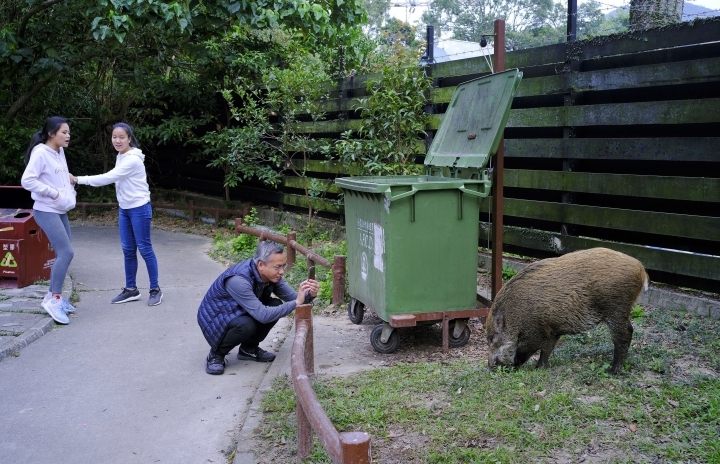 Some areas where homes are close to parks or forests, such as Aberdeen in Hong Kong Island's south, have become popular spots for growing numbers of boars to forage for food amid the garbage cans. The government's Agriculture, Fisheries and Conservation Department says it doesn't know how many wild boars there are in Hong Kong. But it has acknowledged a big increase in public complaints about the animals in recent years — from 294 in 2013, to 738 in 2017. However, one local organization, "Wild Boar 70," is lobbying for the renewed culling of the wild boar population. "Our goal is hopefully to raise public concern about Hong Kong's current problem of wild boar overpopulation, and about exactly what kind of animal these wild boars are," Ho said. Denmark this month began erecting a 70-kilometer (43.4-mile) fence along the German border to keep out wild boars in an attempt to prevent the spread of African swine fever, which could jeopardize the country's valuable pork industry. With agriculture a minor player in the local economy, such concerns aren't much of an issue in Hong Kong. 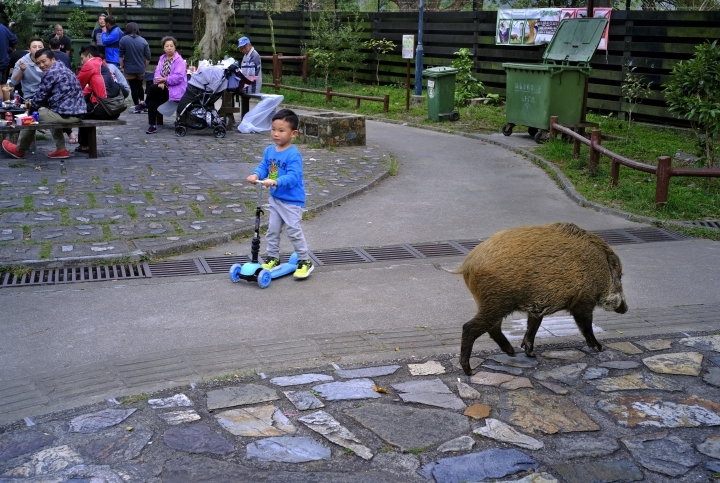 However, Roni Wong, of the Hong Kong Wild Boar Concern Group, says that development expanding into Hong Kong's green areas is causing the increasing confrontation between humans and animals. "Their habitats are slowly being urbanized," Wong said. "So their chances of feeding, and their habitat, are being destroyed." 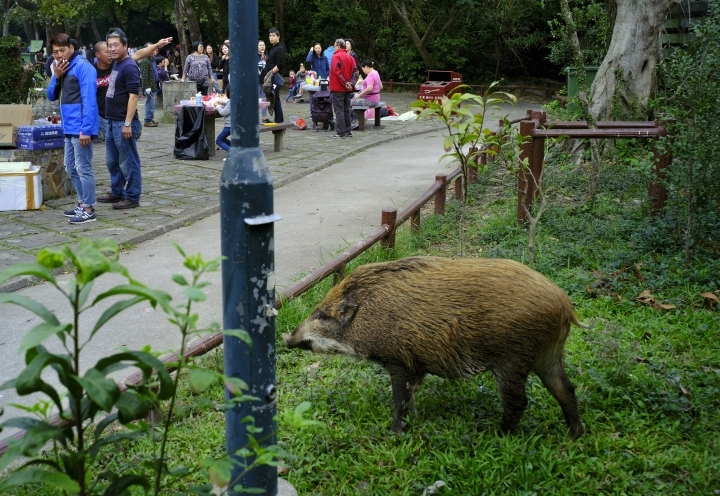 Hong Kong's government says it hopes to complete its policy review of wild boar management within the year.